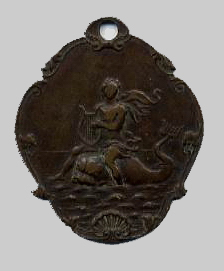 A thousand metal season tickets were issued each season by Jonathan Tyers between 1737 and about 1760. 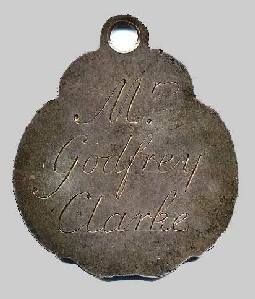 Most have the name of a subscriber engraved on the reverse, and some are numbered; a few are also dated. The first ticket 'Arion', which probably dates from 1737, was struck in copper alloy, explaining why so many survive - the other issued examples were in silver, and many of these would have been returned to Vauxhall in part payment for the following season's pass. The names are given in this list exactly as they are engraved on the ticket. The surviving tickets are mostly in public collections (the British Museum, the Victoria and Albert Museum, and the Museum of London), although there must still be many unidentified examples in private collections. The 'Wits' Club' set up by Jonathan Tyers in the 1730s is recorded by Dr. Charles Burney in his memoirs. It originally met in Spring Gardens House, then moved to the Vine tavern, then, in the 1740s, to the Royal Oak, both very local to the gardens. Most of the members lived locally. Mr. Carey Season ticket subscriber (Thalia no.11). Possibly the song-writer,Henry Carey (1670 1743) who wrote, Sally in Our Alley. Richd Eliot Esqr Season ticket subscriber (Apollo on cloud) Probably Richard Eliot MP (16941748)The Eliot family live at Port Eliot in Cornwall (now Earl of St. Germans). Geo: Fr: Handel, Esq The composer (16851759), whose statue stood in Vauxhall Gardens from 1738 Season ticket subscriber (Arion no.95) . Mr. John Hinton Possibly the publisher of the Universal Magazine Season ticket subscriber (Calliope no.212. 1749. W. Lethieullier Witness to Jonathan Tyers's Will, 1758. Possibly Col. William Lethieullier, F.S.A. Mr. Hen. Major A Henry Major was a subscriber to John Nichols' Lambeth in 1786 Season ticket subscriber (Grata Vice Veris no.202 / Iocosae Conveniunt Lyrae no.210. 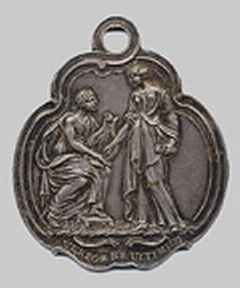 1750). Lady Rachel Morgan Possibly a daughter of Lord Tredegar. Season ticket subscriber (Curarum Dulce Levamen / Mercury & Argos) . Mr. John Trinder Witness to Jonathan Tyers's Will, 1758.